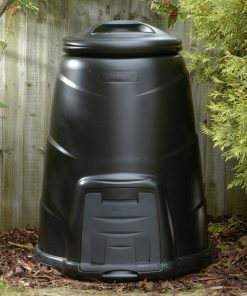 The Draper 180 Litre compost tumbler’s spinning action mixes the contents and accelerates the composting process. 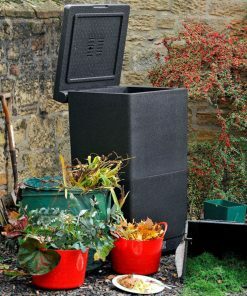 Aerating the mixture allows the naturally occurring bacteria to work faster and can deliver finished compost much quicker than traditional composters. 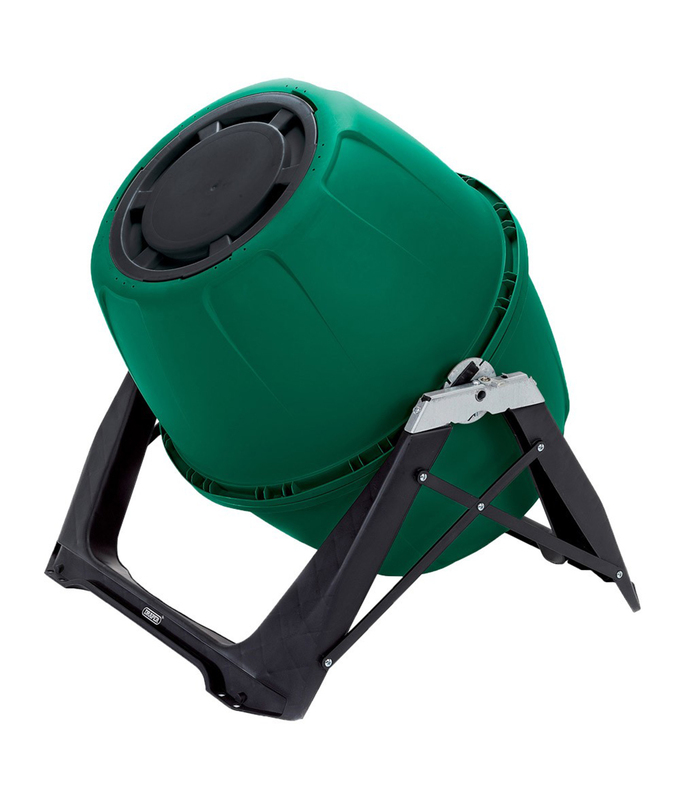 This superb compost tumbler is designed to be tough, durable and great value for money. 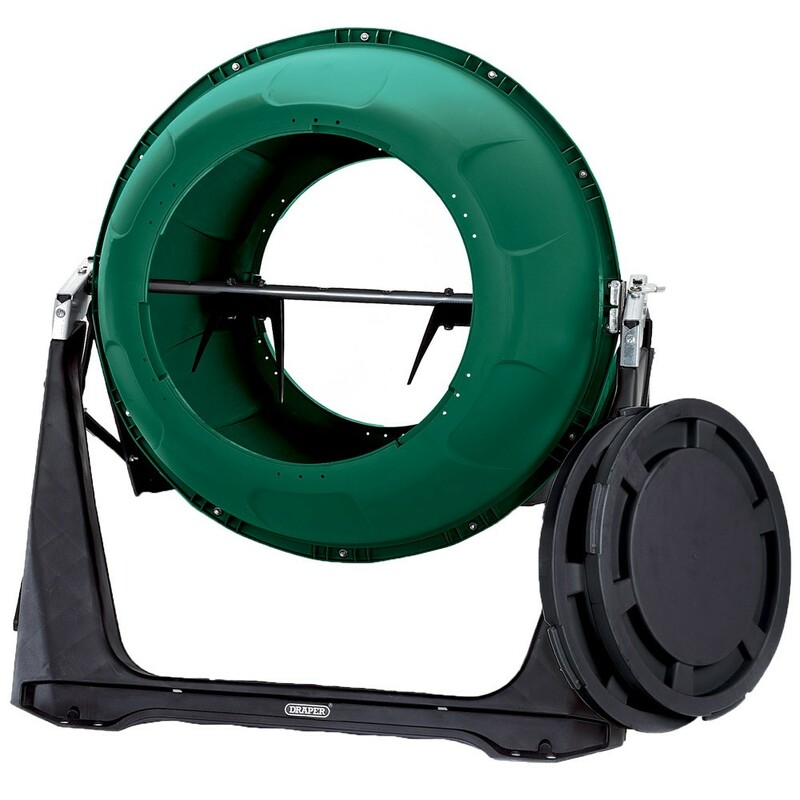 We think it’s a great addition to any keen composter’s garden. 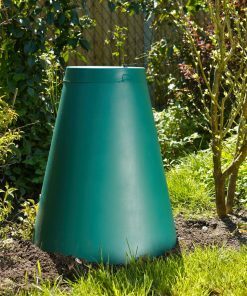 A sturdy frame keeps the Draper Compost Tumbler 180 Litre off the ground, ensuring that air and moisture are distributed evenly. 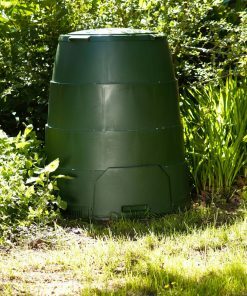 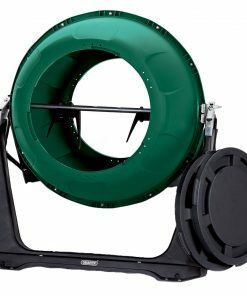 This helps to create an optimum core temperature for composting, but also keeps the mix away from vermin.